Early this year, I found out about a program in Minnesota, a writer’s workshop that lasts a week in July. To participate, you fill out an application form and submit a sample of your writing. It races across cyberspace to a place I hear is beautiful and then it is gone, you’ve unclenched your fist and let a dream and your work fly free. As I hit the send button, I wondered if my words would come back having achieved the purpose for which they were intended, or if they’d come back to me empty. I got word today. Not quite a yes, not quite a no. I am an alternate, so if someone is not able to attend and I am on the right place in the list, I will get to go. I was also strongly urged to keep applying—maybe that’s part of the process. I know a lot of programs where you need to be persistent and not get discouraged the first time you get a no. I’ve left my name in the hat and I will keep applying. I am also disappointed. I wish had been accepted. That competitive streak in me easily slides into a small quiet sentence that insinuates itself into my comings and goings: “you aren’t good enough.” I had applied because, much as I love writing these posts, it feels like it’s time to push my writing beyond what is now familiar and comfortable. I want to know if I can do more. I want to test this part of who I am in new ways. The thing is, after a pretty bruising winter, the hope of hearing a yes outside of me became even more important. I began to think that a yes that was not mine was what made the risk worthwhile. I wish I had been accepted and I wonder if there is something else for me to learn in this in-between space. A week ago today, I was just this side of being a part of the Walking Dead. Holy Week was especially taxing this year and I was beat. I sat in our living room, all my good intentions to do housework in as much disarray as my house. 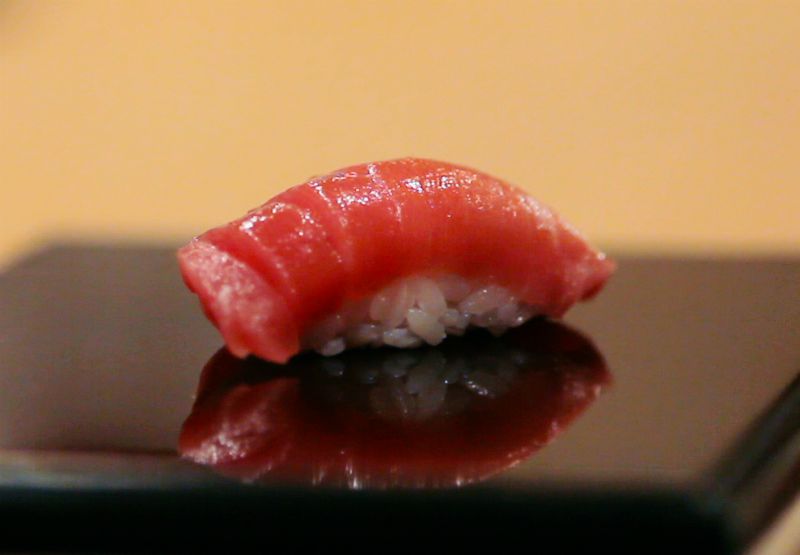 Instead of cleaning the fridge of all the science experiments thriving inside, I watched a movie, Jiro Dreams of Sushi. It is an elegant, thoughtful exploration of the vocation of a sushi chef in Japan whose small, unprepossessing restaurant in a subway station has earned a 3-star rating from Michelin. A food critic, reflecting on Jiro and why he is a master chef , says that Jiro sets the standard for personal discipline. He always looks ahead—what he serves has to taste better than the last time he served it. He is never, ever satisfied with his work. Jiro is impatient and Jiro is passionate. That’s a good set of guiding principles that push back on my temptation to yield to insecurities and vanity. After a good hard walk this evening, I am back trying to figure out what I can do instead of the opportunity I more than likely won’t get this year. I am not satisfied with my writing. I am impatient to get on with it. I love getting to do this work. I welcome, in fact, I very much need suggestions about other ways I can do this mo’ better, more deep. More. Rosa — I applied for the same program and got my second “no” — my hope for this year had a lot to do with the prospect that it just might be something we could do together. What fun that would have been ! But we will both keep applying and in the meantime, keep looking for ways to grow. The next things for me are (1) set up a blog myself — maybe you could help me with that, and (2) finish this book on the psalms — I’m finding it more difficult than the last. If the Institute doesn’t work out, let’s see how we can help each other, or share other opportunities that we hear about. Don’t let it discourage you. Your writing touches many hearts. Love to you. I applied last year and was an alternate (and didn’t get to go), applied again this year and have yet to hear about the August week I applied for. Your words are lovely and worthwhile – and I am grateful for their appearance.